The finish is an exceptionally close one to call. There aren't many cars on the planet quicker than these drag-racing supercars. The Bugatti Veyron and Nissan GT-R are two of the fastest accelerating machines on the planet, yet when these two came head to head at the Weeze Airport in Germany they were far from stock. 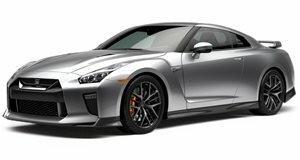 Godzilla was wearing the full Switzer P800 package along with an Akrapovic exhaust and reinforced gearbox, boasting an output of at least 800 horsepower. The Veyron was one of Mansory's creations, featuring a modified exhaust and an unknown - four-figure - output. The Spring Event brought these two spectacular supercars together. Watch the video for the result of this very rare drag race.